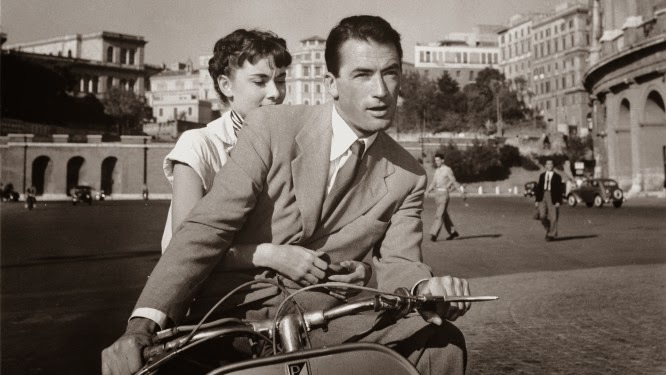 As part of the highly anticipated Giro d’Italia Festival, the Northern Ireland Assembly has teamed up with Belfast Film Festival to bring you the 1950’s rom-com set in Italy that catapulted Audrey Hepburn to stardom, Roman Holiday. Romantic, funny and charming Roman Holiday is one of the greatest comedies of all time and to this day remains influential in the genre. It tells the story of rebellious princess Anna (Audrey Hepburn) who, anxious of authority and intent on having fun, escapes the confines of her royal party on a dreary state visit to Rome. On her travels she falls into the hands of an underhand journalist Joe Bradley (Gregory Peck) who, smelling a great story, offers the unsuspecting princess a guided tour of the city. Roman Holiday was nominated for over 10 Academy Awards and directed by the legendary William Wyler. With its distinctive Italian theme (featuring many landmarks including the Spanish Steps), the classic will once again return to the big screen at one of Northern Ireland’s most historical and impressive sites. The event is free but tickets are required. Tickets are limited and are available through belfastfilmfestival.org. Please book early to avoid disappointment! The film will be shown in the Great Hall, Parliament Buildings on Thursday 8 May 2014. Doors open from 8:00pm.